Kyiv, Odessa, Crimea, Novy Svet, Inkerman – not only these are the names of locations, but also the signs registered as trademarks for alcoholic beverages, and some cases, the companies themselves, in Ukraine. The Odessa Sparkling Wine Company PJSC has a long and established history producing sparkling wines and other alcoholic beverages. The company, which was founded in 1896 by French winemaker and benefactor Henri Roederer is based in Odessa, Ukraine, where he bought a lot in the resort area of Odessa, called the Small Fountain, and launched the construction of the Winery. The Odessa Sparkling Wine Company has been producing and selling ODESSA branded sparkling wine for more than 20 years now. They have invested a lot of money, time and effort into promoting the ODESSA mark for the different sparkling wines produced by the company. However, they have faced an unusual challenge when trying to register ODESSA trademark. On September 15, 2014, Odessa Sparkling Wine Company applied to Ukrainian Intellectual Property Institute (Ukrpatent) for the registration of ODESSA mark, classes 20, 33, 35 of the Nice Classification. On November 17, 2015, the company was notified that the registration of ODESSA mark might be refused, since ODESSA verbal mark was descriptive and indicated the geographical location where the goods were produced, and could be used by all manufacturers of goods and service providers located in Odessa. In addition, the mark may be deceptive with regard to the goods and services of class 35 manufactured and provided outside of Odessa. However, according to the final decision issued by Ukrpatent on April 5, 2016, the mark had failed to meet the requirements for granting legal protection based on the results of qualification examination. 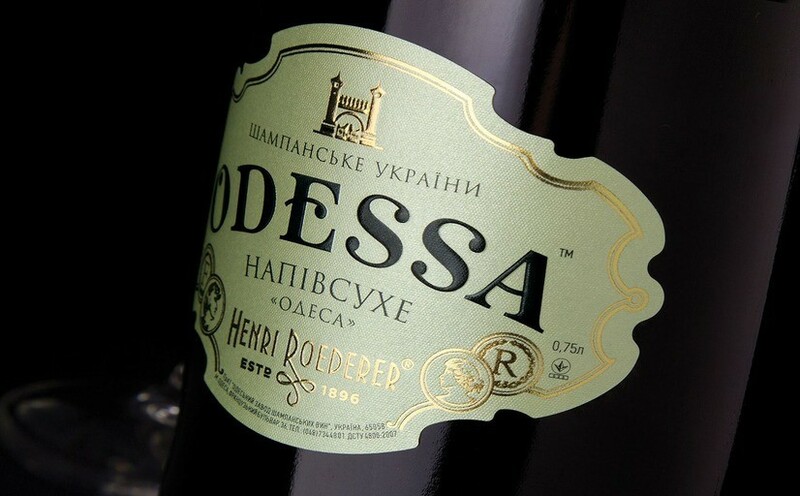 Odessa Sparkling Wine Company applied to court for the cancelation of Ukrpatent’s decision and required the court to cause Ukrpatent to determine that ODESSA mark should be granted legal protection. The claimant in the case: Odessa Sparkling Wine Company; the defendant: the State Intellectual Property Service of Ukraine; the third party: Ukrpatent. to cause the State Intellectual Property Service of Ukraine to determine that ODESSA mark meets the requirements for legal protection of goods (classes 20, 33) and services (class 35) indicated in the application. The court dismissed the claim based on the following: the verbal mark indicated geographical origin and made the list of indications that might not be granted legal protection, hence ODESSA mark could not perform the basic function of a trademark, i.e. to define the brand identity of certain goods. The court found that in the response to the preliminary refusal, the claimant had failed to provide the evidence to Ukrpatent to prove that the claimed mark had acquired distinctive features, and as well failed to provide information regarding the term of use of the said mark. The claimant applied to the court of appeal. However, the board of appeal upheld the decision of the lower court and dismissed the petition of appeal. In September 2016, Odessa Sparkling Wine Company applied to the Higher Administrative Court of Ukraine. However, the public register of court decisions contains no records with regard to this case. Thus, the claimant owns a number of registered trademarks containing the word ODESSA (in Cyrillic characters “ОДЕССА”) as the strong elements; however, the claimant may not be granted legal protection for the ODESSA verbal mark. In fact, the use of a mark is critical for acquiring its distinctiveness. Consequently, registration applications should be filed for the marks that look exactly the same as the marks launched on the market. Obviously, it was the use of a combined mark by Odessa Sparkling Wine Company that resulted in the outcome of the case. However, the Higher Administrative Court will be the one to finally dot the I’s in this case. According to the available sources the trial has not yet started.